Next week is an opportunity to shine a spotlight on the maritime sector, its role and future. Next week is packed with events across the breadth of the sector and length of the country. Don’t forget – the week is an opportunity to showcase your own activity. Be sure to tweet with #MaritimeUK and we’ll give you a retweet! 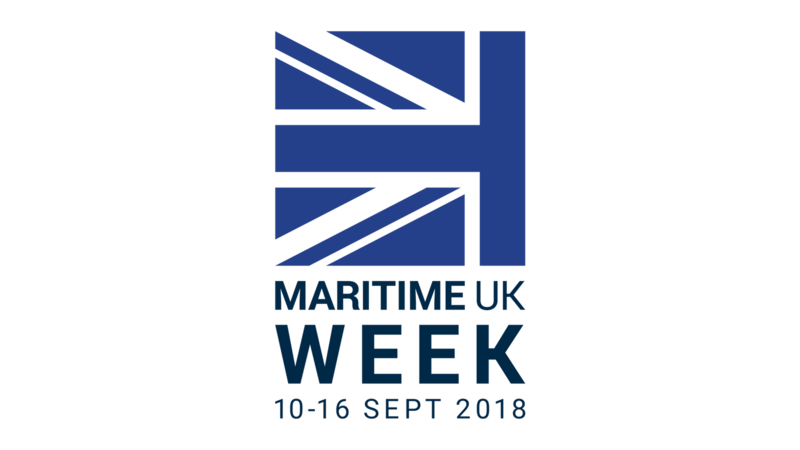 The Taskforce established by Maritime UK earlier in the year will be launching its Women in Maritime Charter during Maritime UK Week – starting with a reception sponsored by ABP. LISW17 featured over 160 official events and networking opportunities, attended by leaders across all sectors of the international maritime sector. An estimated 15,000 industry leaders attended the week. LISW returns in September 2019 and the countdown will begin in September 2018. Introduction to UK Shipping is a one day course which will give participants an introduction to the UK maritime environment and the UK shipping industry – an essential course for those wishing to gain a better understanding of this diverse and dynamic industry. The British Ports Association represents the interests of a wide range of ports to the various tiers of Government and beyond. It’s Parliamentary reception is being sponsored by The Lord Berkeley. The Institute of Chartered Shipbrokers is opening its doors in branches across the world to students and potential students on Wednesday 12 September 2018. The open day will be held at the key Institute centres as well as online and is a great chance to find out more about courses on offer, entry requirements, meet local tutors and other students and learn more about what the Institute offers. Breakfast briefing with the UK Major Ports Group and Arup on their new research into air quality at ports. Mersey Maritime is pleased to be hosting the Liverpool City Region Launch of the Women in Maritime Charter. This event will provide businesses with the opportunity to find out more about the Charter, which aims to encourage more women to build careers in the maritime industry while also striving to better engage with women already working within it. It will outline ambitious and achievable goals that companies can sign up to and provide tool-kits to help companies meet their commitments within the charter. This year marks the 50th birthday of TheYachtMarket.com Southampton Boat Show’s and is set to be the biggest celebration of all things marine. The Show will celebrate the lifestyle, fun and excitement that being on the water has to offer. Set against a stunning backdrop featuring some of the world’s most luxurious and innovative boats, Europe’s largest purpose-built marina will host thousands of guests and businesses over the action-packed 10 days. UK-India Trade: what does the future look like? Maritime UK and the Indian Maritime Association (UK) invite you to attend the IMA’s Autumn Seminar & Reception 2018. Held during Maritime UK Week, the seminar will focus on UK-India trade relations and what the future will look like. Get your oars and waterproofs ready! The OSCAR Campaign raises money to support important research at Great Ormond Street Hospital for Children (GOSH) and that money is saving lives. The Dragon Boat Race is excellent team building and a great networking event – meet shipowners, P&I clubs, insurers, brokers, class societies, ship registries and more. Berenberg in association with Maritime London will host a speaker lunch, which will focus on the significant challenges facing the global shipping industry from the new IMO 2020 sulphur regulations, the options open to shipowners trying to comply and the impact on the entire marine fuel supply chain.